If you love to braai and are up for a challenge, this one’s for you! Readers of YOU, Huisgenoot and DRUM are being given the chance to audition for the outdoor cooking TV reality show Ultimate Braai Master Season 3: Time for Tough even after entries have closed. We’re also giving away one Golden Ticket per region which will ensure you a spot in the auditions without going through the online screening process which other prospective contestants have to do. 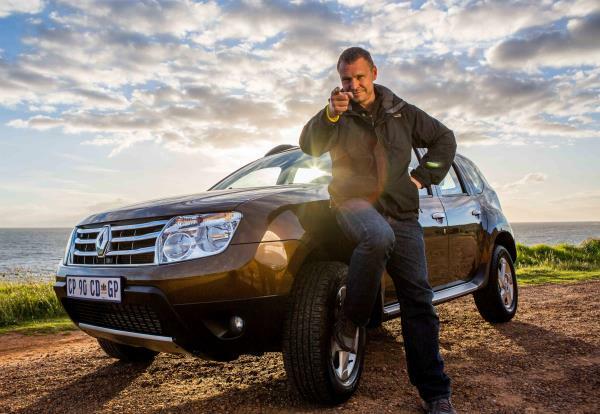 If you are selected, get ready for an all-expenses-paid, 60-day, 4 x 4 braai adventure across 9000 km with South Africa’s favourite bush cooking guru, Justin Bonello! The winning team will walk away with R500 000 cash, a new Renault Duster 4x4 valued at R260 000 and the title of South Africa’s Ultimate Braai Master 2014! Readers have until one week before the auditions to enter for a Golden Ticket. Send an email to jaco.coetzee@media24.com with your team name, your name, the name of your chosen braai buddy, and a 50-word motivation on why you think you and your braai buddy are tough enough to become South Africa’s Ultimate Braai Master 2014. Visit www.ultimatebraaimaster.com for terms and conditions and further details. Johannesburg - 8 March, Indaba Hotel, Fourways. Port Elizabeth - 15 March, Nelson Mandela Metropolitan University, Summerstrand North Campus.